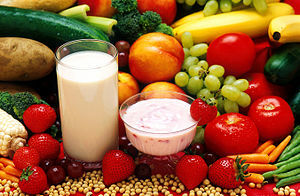 Lupus is a potentially painful condition, but the effects of the sickness can be controlled and limited by your diet. It is important to note that eating to curb your lupus symptoms is not as easy as eating food A and avoiding food B – while there are most definitely foods that immediately trigger your symptoms, the goal is to incorporate healthier foods wherever possible and to live a life that is healthier and pain free. Having said that, there are some considerations that are vital in maintaining and controlling your symptoms. The golden rule is that moderation is key! Everyone’s triggers are different, but it is important for all sufferers of lupus to avoid gluten and fatty meat. The reason for this is that the fat in foods that are rich in either substance tend to aggravate the inflammation that leads to pain, much in the same way that uric acid causes swelling in gout sufferers. There are a number of gluten-free baked goods available on the market that are tasty and healthy, and substituting these in to your diet should improve your health. As far as your meat intake goes, do your best to remove the visible fat from cuts of beef, duck, and chicken. Wherever you can, opt for leaner meat options like turkey, fish and ostrich, as they are low in the specific types of fat that may trigger inflammation. The key to controlling your lupus via your diet is to up your intake of Omegas 3 and 6, and antioxidants. Again, this will help to minimize the reaction that leads to inflammation within your body. Apart from taking in more fresh fish (which should be grilled where possible), most dietitians recommend a supplement of some kind to maintain your levels of these good fatty acids. Vegetables and fruit form a crucial part of any healthy diet, so stock up on green veggies, fresh fruit, and multivitamins. You are trying to keep to keep your body functioning at the optimal level, and with a diet that is high in these kinds of foods, you should feel a difference in your symptoms. In general, you should try and eat like an athlete would. A high intake of good protein like eggs, fish and lean meat, coupled with loads of veggies, should help. This guest post was written by freelance writer Victoria. She is currently learning about different types of credit cards such as low interest credit cards. This entry was posted in Food, Guest Posts, Uncategorized and tagged advice, article, diet, food, Gluten-free diet, guest post, healthy eating, lupus, Meat, Systemic lupus erythematosus. Bookmark the permalink. I’m not sure where “freelance writer Victoria” got her information from, if she has lupus, has experience with her diet and/or can back up her writing with reputable sources. It is a pretty general article but in the places where she is more specific, i am not at all convinced by her argument, specifically in relation to “fat” and fatty meat. There is plenty of reasonable evidence that fatty meat is likely not a problem for people with lupus (PWL). I would be far more concerned about PUFAs (polyunsaturated fatty acids eg Omega 6) and all the poor quality and dangerous factory farmed animal products. I have been on a lupus diet for 25 years (Dr Chris J. Reading, Australia) and avoid beef and eggs but not (free range, organic, grass fed) lamb and (free range, organic, pastured) chicken and turkey and other animal products. I avoid legumes and many other things. The Perfect Health Diet (Jaminet and Jaminet) comes close to this diet and also has plenty of scientific evidence to support their suggestions). If a person suffers from renal lupus then high protein is not helpful. People need adequate protein not “high intake” and given that many athletes “cab load” this suggestion doesn’t even make sense. Gluten-free is indisputable but “gluten-free baked goods” are not something I would be pushing. There are many fruits and vegetable families that I avoid: legumes, citrus, nightshade… many lupus sufferers with myalgia avoid foods containing salycilates (fruit and veg). I hope you will offer some more helpful nutritional advice to your readers in future.Compared with 1986 when I fist started changing my diet to manage lupus, there is plenty of very good information out there.